Attila Mogyorós guitar, Emil Gherasim guitar & vocal, Róbert Gindele bass, Gábor Gindele drums. On January 1994, with the above mentioned four members it took place the first demo recording in HNS Studio. Between 1996 and 1998 the band is in contract with Transylvanian Music Production (TMP) and has a good collaboration with his leader named Péter Moynahan Papp who were dealing with the matters of the band. In May 1997 the band are recording their first proper album (only on MC) entitled "Silent Fall", and it was issued Audio Pro Rec./TMP-Romania. The recordings were made at "Audio Pro Studios" Oradea (Ro). 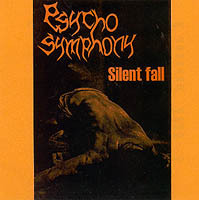 The album "Silent Fall" got very good critics in the press, for example the Hungarian Metal Hammer No.97 (1997/10) and No.137 (2001/9) accorded 9. points in a scale of 10. With that album on their side they sent in 1997 a registration form to Pepsi Sziget Festival (Hungary) and that's how it happened that the band has played for the first time on this grandiose festival, on "Banan Stage".The band got a lots of requests, and interviews after the concert and possibilities to play in Hungary. 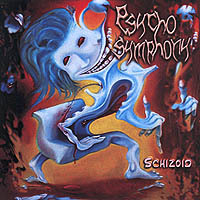 In 2002 its released the promo-demo entitled "Schizoid", to send it to record labels. The recordings were made in their rehearsal room in 2001-2002.It got very good critics from the press (Hungarian Metal Hammer, Metal Hammer - Greece, Shapeless Zine - Italia, Ragazzi - Germany, Rockinform - Hungary, Heavy Metal Magazine - Romania, hmm.ro, Maximum Rock Magazine - Romania etc.). 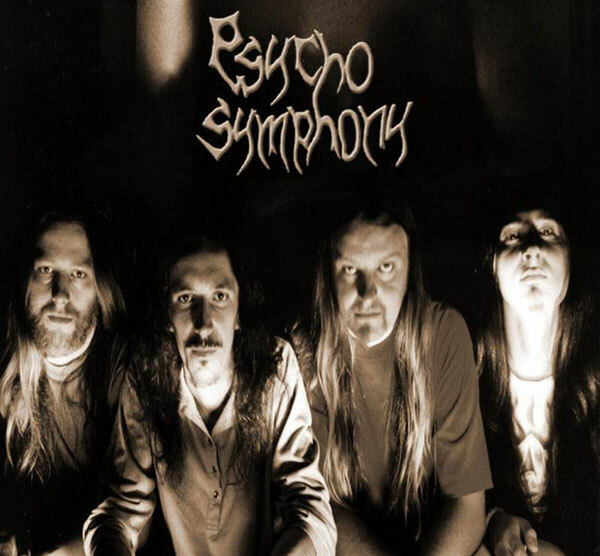 It was a period that Psycho Symphony had three important concerts in Hungary: one at the 5th edition of a talent competition "Denever Studio" Festival (2001) in Szolnok city - (winning the special prize); the other was the most important festival of the progressive metal bands called "Progressive Metal Festival" (2001) in Pecs city and also on the 1st edition of the "Progressive Music Meeting" (2002) in Miskolc city. The band has been accepted again to "Sziget Festival 2003" (Hungary) for the second time to play on the biggest stages called "Hammer World Stage" in opening of some really great names like for example Annihilator. In 2004 the band celebrate with a concert the 10th anniversary with such components at the "Decade of Metal" -Taine Fest in Bucharest. Between 1994 and 1997 the band won at the talent competitions one grand prize, 4 first prizes, 2 prizes for the best drummer and one prize for the best guitarist. In 1994 the band gained the 5th place for the best "Romanian newcomer group" category, according to the publics vote of the Heavy Metal Magazine (Ro), a yearly voting process. - "Reality Falls Asleep - part I" (live'94) on "Underground Romania" Vol.1 (1995- East & Art Rec.). In the final charts 2004 of the public vote of Maximum Rock Magazine, Gábor Gindele gained 1st as the best drummer, and Róbert Gindele are placed 2nd as the best bass guitarist. Many had tried to define our style, we heard a lot of interesting characterizations, some of them were close to our ideas and others were really far from our conceptions. But it has to be known that what we do, comes instinctively and it's not a pre-defined style that we want to follow. We know what (are all those things that) we don't want to hear in our music, and that's how a vast area of possibilities appeared in front of us. Some of the characterizations we heard from the press and fans were so suitable to our thoughts, that we like to mention them. There was somebody who said that our music is like a strange voyage in bizarre lapped in a delirious aura, other said that it can't be compared with anything, and the other who said that it is like a movie soundtrack. With all of these, we think that our music is hard to be defined exactly, but if somebody asked us about how we can describe our style, we would say that it is placed somewhere between the progressive music of the '70 (King Crimson, ELP, Gentle Giant etc) and the techno-thrash & progressive metal of the '80-'90 (Mekong Delta, Voivod, Sieges Even, Psychotic Waltz etc).